Who says you can’t keep marrying the man of your dreams? 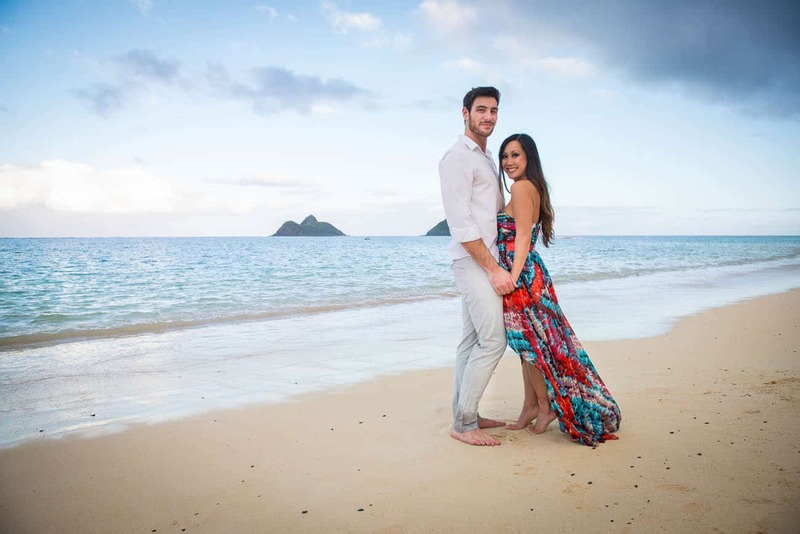 While on their one year anniversary trip to Oahu, Connie contacted me to do a Kailua Hawaii engagement session. A hop skip and a jump from the Bay Area, we finally had a break in the rain for some fun on the beach! Yup, I love these guys! And small world, Mike is from Meredith, NH! That’s pretty dang close to where my permanent residence is (although seriously, I don’t know where I live these days!) So we got to talk all about how happy we are to be missing the worst winter ever this year! A quick discreet change of clothes back at the car, and some more beachy fun with just enough wind to make Connie’s dress look even more amazing! So, we weren’t the only ones at the beach (go figure!) But people were super sweet and giving us space to try fun shots like this one that Connie + Mike wanted to try! Yes, I will admit it, I had a Dirty Dancing flashback! Seriously, what girl from the 80’s/90’s wouldn’t? Next time maybe I’ll talk them into doing this in the water heehee! For those of you who haven’t been here, the two little islands in the back are called the Mokes, and are a pretty well known landmark here. 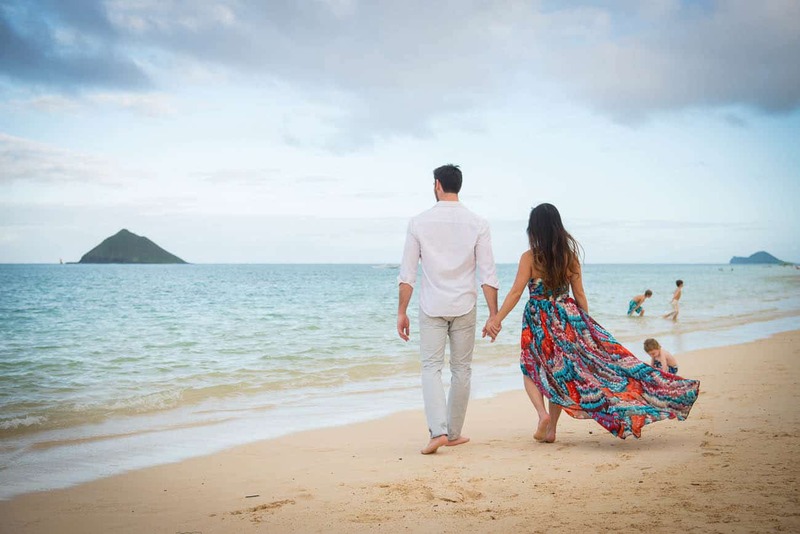 Lanikai Beach offers whiter sands and bluer waters than that of Kailua Beach just next door. 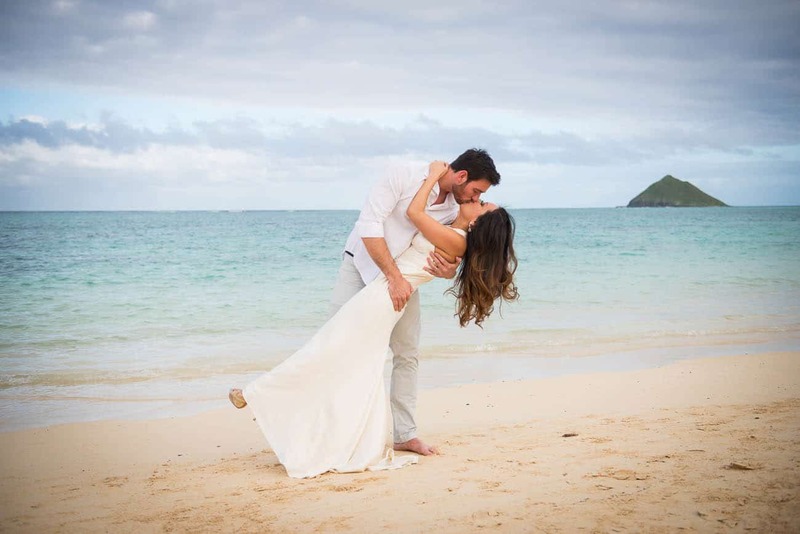 It’s one of my favorites and I was so thrilled to be able to share it on this day! This wasn’t the first time Connie + Mike had reworn their wedding attire, and we joked about making it an anniversary tradition. 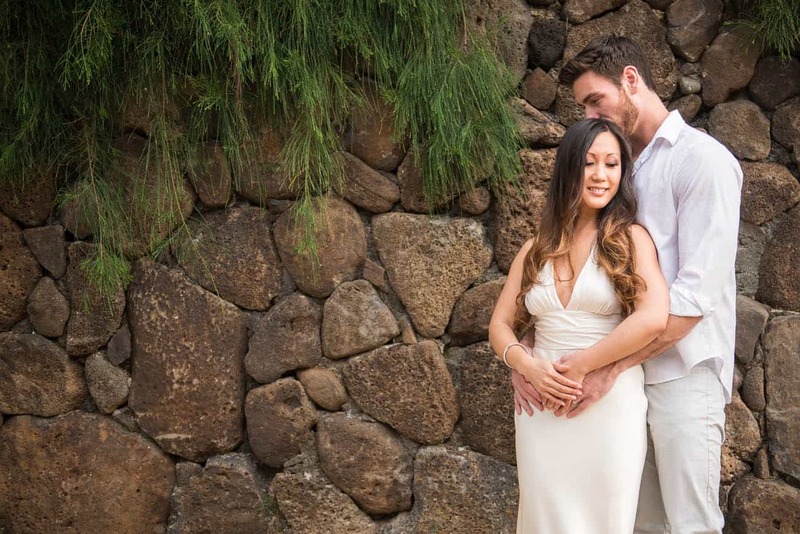 And if Hawaii trips are involved, I hope to take their picture many more times! You two are a beautiful couple, thanks for making me a part of your trip! 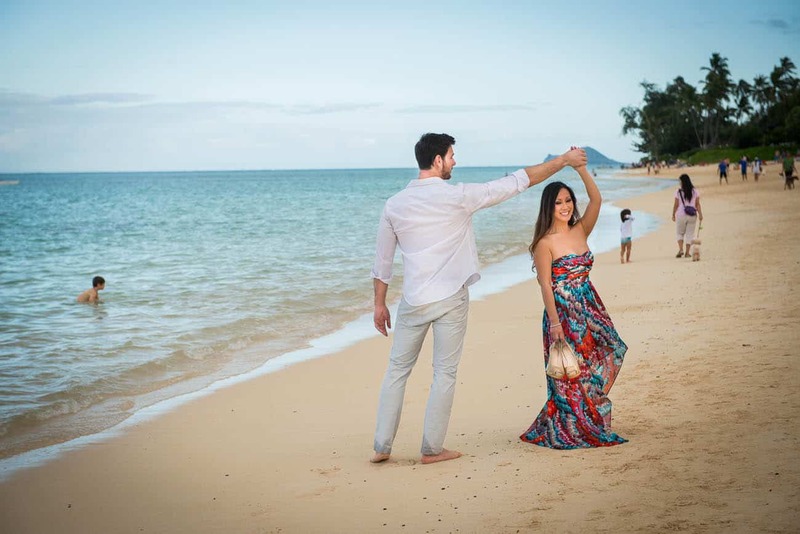 Live on Oahu or contemplating a Kailua Hawaii engagement photo session? Drop us a line!